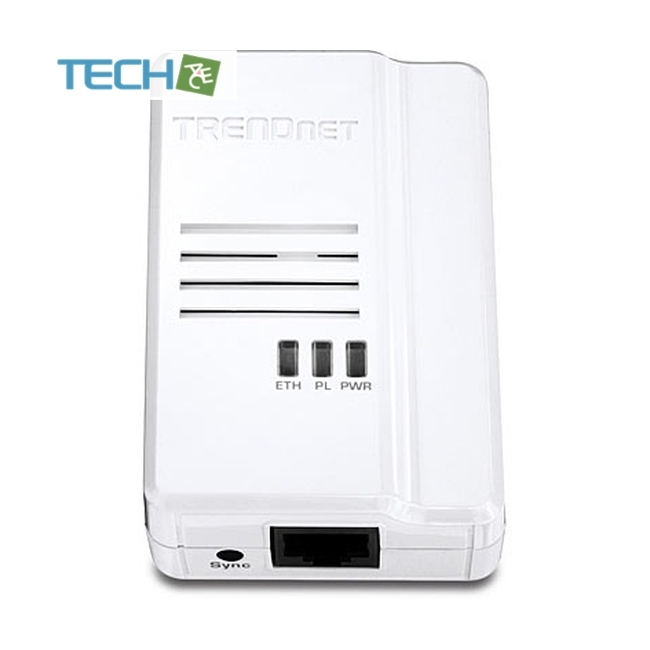 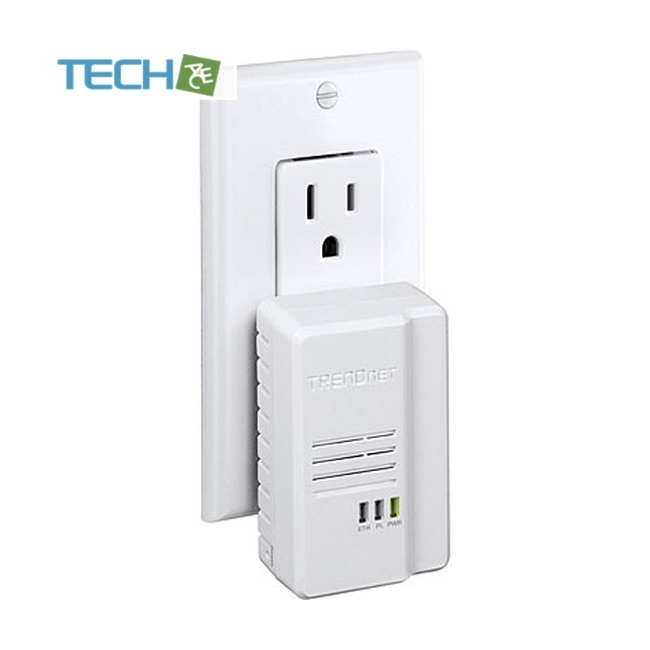 TRENDnet’s Powerline 500 AV2 Adapter, model TPL-408E, uses an electrical outlet to create a 500 Mbps Powerline network. 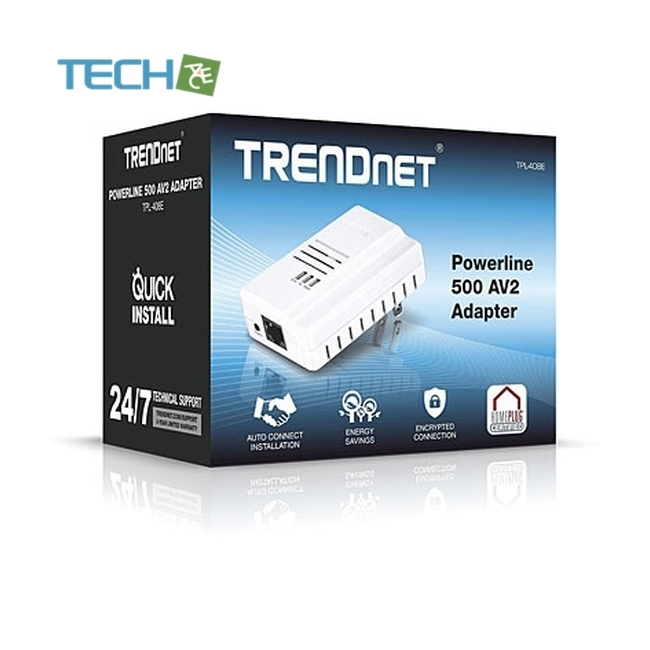 No CD installation required—encrypted TRENDnet adapters auto-connect out of the box. 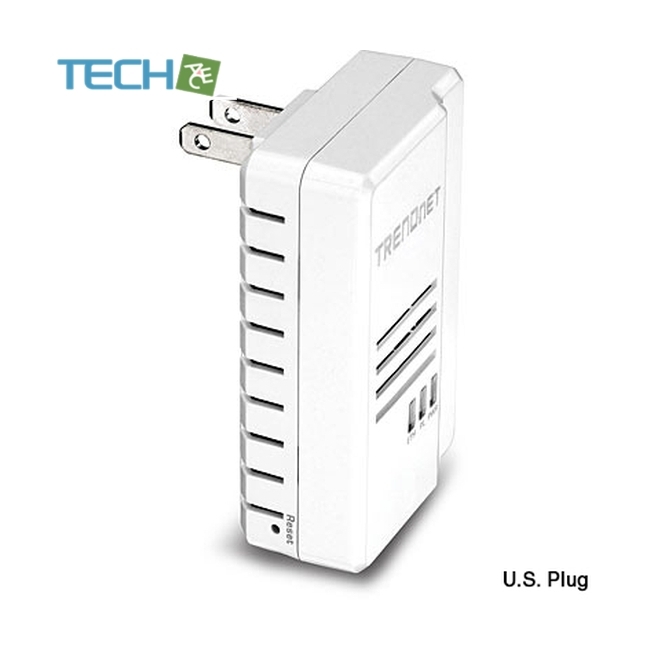 Two adapters are needs to start a network. 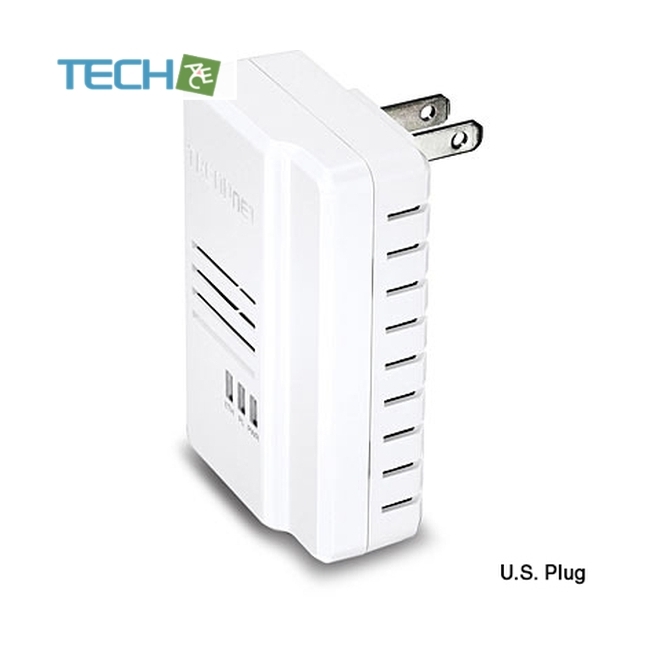 Connect one adapter to a router and plug in another adapter on your electrical system for instant internet access. 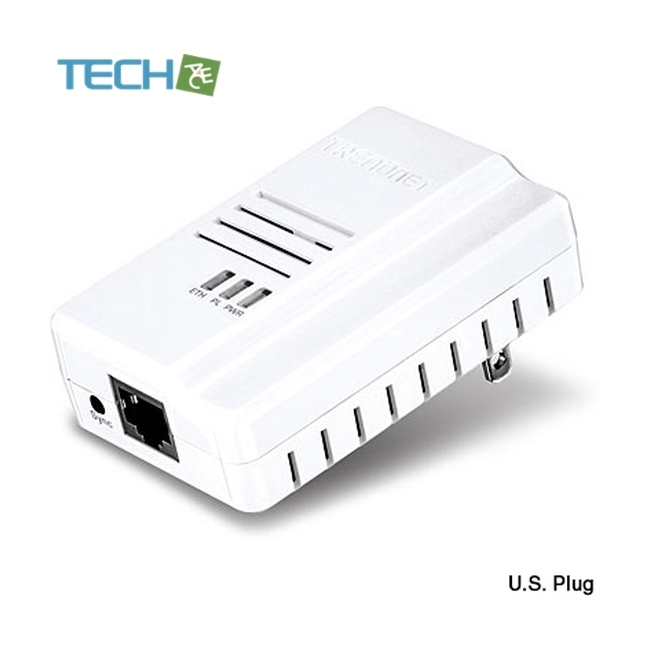 ** 500 Mbps is the maximum physical Powerline data rate. 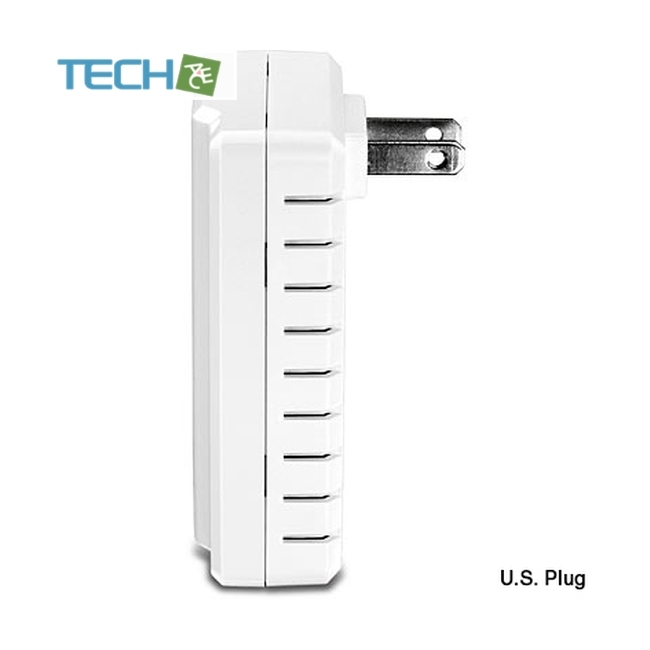 Data throughput may vary by circuit wire condition overheads.